Happy Birthday, Amy. I hope you have a special day. 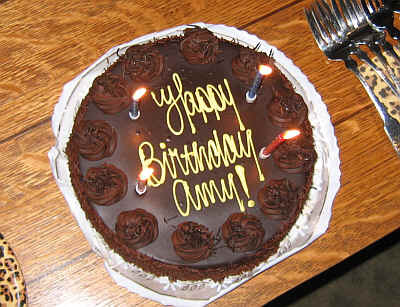 Happy birthday, Amy, my dear friend! I hope it's a special day for you! 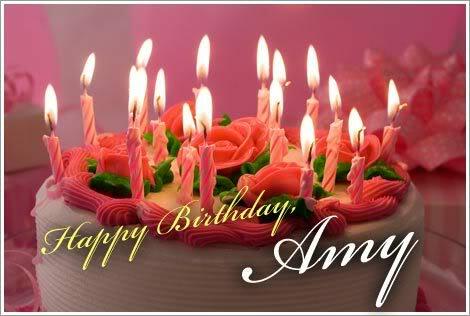 Happy birthday, my dear Amy!! I'm so thankful for you, and so proud of you. You are an example of God's love to so many people, and have had such a positive impact on the lives of the children who have been and are in your care! I hope that your birthday is as special as it ought to be for someone who really is amazing. I love you, Belle! 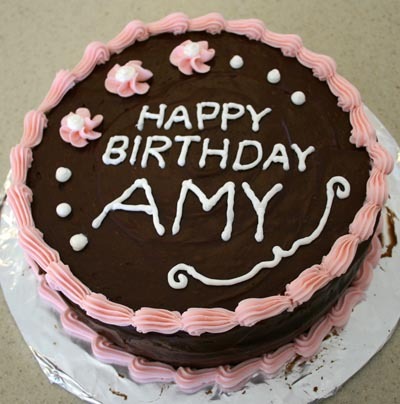 Happy Birthday, Amy! Hope you have a great day! Happy Birthday, Amy!! You are so special to me and I will always treasure our friendship. 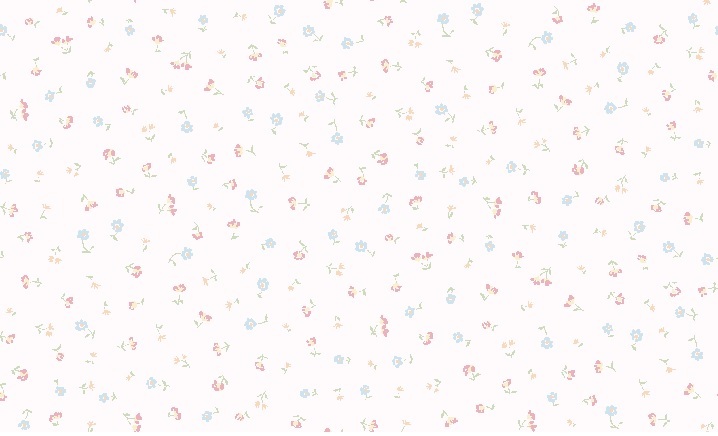 Your mom is looking down on you so proud of her daughter and the loving and caring person you are. I hope that you have a wonderful day, celebrating with your family! Love you!!!! Thank you everyone, SO much! I appreciate the birthday wishes...so far it's been a lovely day! Although, I was worried about my dad earlier (hadn't been able to get a hold of him for awhile and was getting worried, so went to track him down and of course he's ok (his phone needed charging ....but that's how my day started out---a little frazzled! It's better now! ). Going out to dinner with family tonight. Should be nice! Just wishing my son Nick was home from college, but being the middle of the week, that's fairly impossible! Lisa, what you said was just beautiful. I will cherish it (and you) always. Teresa---thank you for that. I did immediately cry at your post but it's something that needs to come out. There is something about that 'first birthday', and probably many more to come....I miss my mom more than ever today. And in a weird way feel more bonded than ever to her too. Teresa, you are so special to me too---I am beyond thankful for your friendship. Love you too! To a very special and dear friend. I wish I lived closer so I could give you a birthday hug in person! Caught you on FB, but wanted to wish you a wonderful birthday, Amy. Glad all is well with your dad and that you have nice plans for later. Many blessings now and always. Carol, I love that! 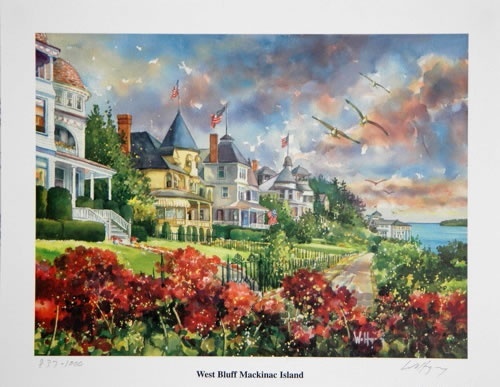 Someday---Mackinac Island, you & me---it's a date! 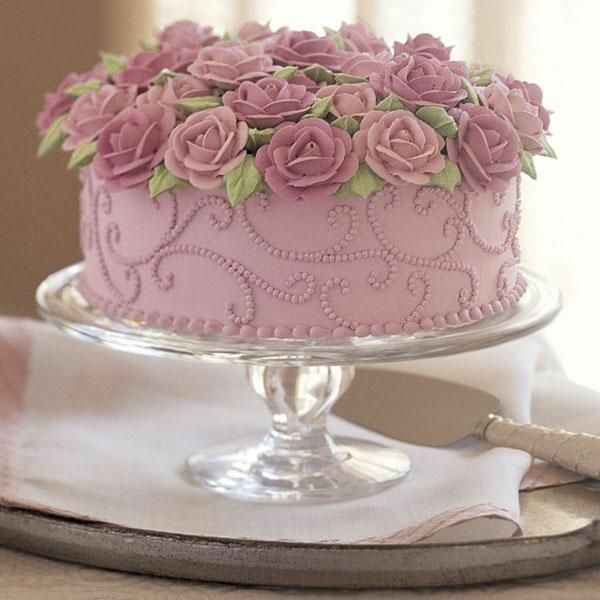 Oh, and I couldn't possibly cut into that beautiful cake---WAY too pretty to eat! Thank you, my friend! Thank you for the birthday wishes Cheryl! Blessings abound! Happy Birthday, Amy! Hope it was great. Thank you Krissy and Lori!